Kindly read these terms and conditions carefully! 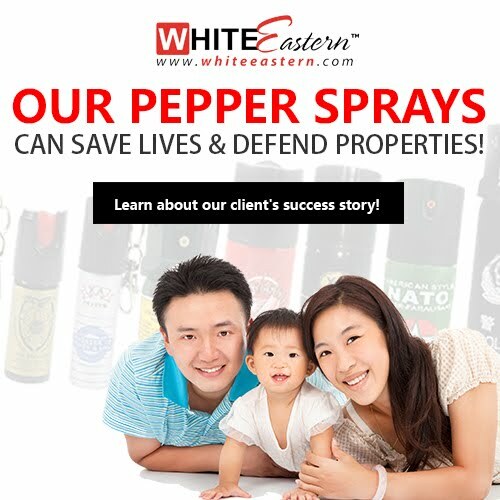 WhiteEastern.com operates an e-commerce store for the house and personal safety / security of goods and services. The following terms and conditions govern your use of the WhiteEastern.com site and its services. By using this Site, You agree to follow and be bound by the following Terms and Conditions of Use and any revisions we may make to the Terms and Conditions of Use. We may revise the Agreement at any time by posting the revised terms and conditions on this website. The amended terms shall automatically be effective immediately upon posting. Posting by WhiteEastern.com of the amended terms and conditions and your continued use of the Service shall be deemed to be acceptance of the amended terms. The service is offered to business or corporate and personal uses. User will select a User ID and Password to access the order page. The user shall be solely responsible for maintaining the confidentially of the user’s ID and password and for all the activities that occur under the user’s ID. User hereby agrees and confirms that WhiteEastern.com shall not be liable for any loss and damage arising from the User’s failure to comply with this paragraph. WhiteEastern.com reserves the right to limit, deny or create different priorities to different users or to change all of its features and/or to change, upgrade, modify, alter, limit or terminate at any time temporarily or permanently without prior notice and for any or no reason at its sole discretion. WhiteEastern.com further reserves the right to introduce new features, functionalities and/or applications to future versions. All new features, functionalities, applications, modifications, upgrades and alterations shall be governed by these terms and conditions, unless otherwise stated by WhiteEastern.com. The User agrees to the effect that such action may have on his ability to use hereby agree that in no event shall WhiteEastern.com be liable to the User. User agrees not to reverse engineers, decompile, disassemble, alter, duplicate, make copies, create derivative works from, distribute or provide others, its communication protocol or any information available on, derived or extracted in relation other than as allowed under these terms and conditions. WhiteEastern.com grants you a limited non-exclusive license to access and make personal and non-commercial home use of this Site. As such, you cannot download the Site (other than page caching) or modify the Site or its contents or any portion of the Site or any of its contents, except with the prior written consent of WhiteEastern.com. This Site or any portion of this Site may NOT be reproduced, duplicated, copied, sold, resold, visited, or otherwise exploited for any commercial purpose without prior express written consent of WhiteEastern.com. You may not frame or utilise framing techniques to enclose any trademark, logo, or other proprietary information (including images, text, page layout, or form) of WhiteEastern.com and the Site without WhiteEastern.com’s prior express written consent. You may not use Meta tags or any other "hidden text" utilising WhiteEastern.com and the Site’s name or trademarks without the prior written consent of WhiteEastern.com. Any unauthorized use automatically terminates the permission or license granted by WhiteEastern.com. You are granted a limited, revocable, and non-exclusive right to create a hyperlink to the homepage of the Site so long as the link does not in any manner whatsoever or howsoever portray or depict the Site, or its products or services in false, misleading, derogatory, obscene or otherwise offensive light or manner. You may not use any WhiteEastern.com logo, the Site logo or other proprietary graphic or trade mark as part of the link without WhiteEastern.com’s prior express written consent. When you register with WhiteEastern.com, you agree to (i) provide true, accurate, current and complete information about yourself as prompted by the Order form (the "Order Data") and to (ii) maintain and promptly update the Order Data to keep it true, accurate, current and complete. You are responsible for maintaining the confidentiality of your Order Data or passwords and for restricting access to your computer, and you agree to accept responsibility for all activities that occur under your particulars. WhiteEastern.com cannot and will not be liable for any loss or damage arising from your failure to comply with this Terms and Conditions. If you are under 18 years of age, you can use the Site only with involvement of a parent or guardian. WhiteEastern.com reserves the right to refuse service, remove or edit content, or cancel orders at its sole discretion. All items purchased from the Site are made pursuant to a delivery contract. This means that the risk of loss and title for such items pass to you upon our delivery to the carrier. You agree that WhiteEastern.com, at its sole and absolute discretion, may terminate your use of the Site for any reason, including, without limitation, lack of use or if WhiteEastern.com believes that you have breached or acted inconsistently with or in disregard of the letter or spirit of the Terms and Conditions. WhiteEastern.com may also at its sole and absolute discretion and at any time, with or without notice, discontinue providing its services or any part thereof. You agree that any termination of your access to the Site under any provision of this Terms and Conditions may be effected without prior notice, and acknowledge and agree that WhiteEastern.com may immediately bar any further access to the Site. On the happening of any of the afore-going, you agree that WhiteEastern.com shall not in any manner whatsoever or howsoever, be liable to you or any third party for any termination of your access to the Site. This Site is created, owned and controlled by WhiteEastern.com in Malaysia. The Terms and Conditions shall be governed and interpreted in accordance with the laws of Malaysia without giving effect to any principles of conflicts of laws. Those who choose to access the Site do so on their own initiative and are responsible for compliance with local laws, if and to the extent local laws are applicable. The Terms and Conditions constitute the entire agreement between you and WhiteEastern.com and govern your use of the Site, superseding any prior agreements between you and WhiteEastern.com (including, but not limited to, any prior versions of the Terms and Conditions). You also may be subject to additional terms and conditions that may apply when you use other WhiteEastern.com services, third-party content or third-party software. Any assignment or transfer of either the Terms and Conditions or any right granted hereunder is strictly prohibited. WhiteEastern.com is the sole owner or lawful licensee of all the rights to the Site and all information, text, messages, illustrations, images, logos, designs, icons, photographs, programs, music, sound, video clips, directories, files, databases, listings or other materials available on or through the Site (collectively the "Content"). The Site and the Content embody trade secret and intellectual property rights protected under worldwide copyright and other laws. All title, ownership and intellectual property rights in the Site and the Content shall remain with WhiteEastern.com, its affiliates or licensors of the Content, as the case may be. The unauthorized copying, modification, use or publication of these marks is strictly prohibited. WhiteEastern does not allow the use, for any purpose (save and except where expressly permitted) of its trade names, trademarks, service names, service marks, product names, product marks, URLs, website addresses, logos, designs or symbols by any person without its prior written permission. Visitors to the WhiteEastern Website and other third party websites linked to its site shall visit or use these sites solely at their own risk. WhiteEastern does not warrant that the service provided will be accessible at all times, uninterrupted or error-free. There may be delays, omissions, interruptions and inaccuracies in the contents, dissemination of news, information and other materials. WhiteEastern shall not be responsible for either the availability or the contents of other third party websites that may be linked to it. WhiteEastern assumes no responsibility for the deletion of stored email messages. Although WhiteEastern will take reasonable steps to prevent the introduction of viruses and other destructive elements to its Website, it does not guarantee or warrant that its site is free from any destructive elements including but not limited to computer viruses, hackers, or other technical sabotage. WhiteEastern also does not warrant that any contents downloaded from its site and other third party sites linked to it will be error-free. The Company shall not be responsible or liable for any damage that may be caused to your computer attributable to such download from its site or third party sites linked to it. THE INFORMATION, MATERIALS AND SERVICES CONTAINED IN WHITEEASTERN SITES, INCLUDING BUT NOT LIMITED TO GRAPHICS, LINKS AND OTHER ITEMS, ARE BEING PROVIDED TO YOU ON THE BASIS OF "AS IS AND WHERE IS" AND "AS AVAILABLE," WITHOUT ANY WARRANTY OR GUARANTEE. WHITEEASTERN DOES NOT WARRANT OR GUARANTEE THE ACCURACYOR COMPLETENESS OF THE INFORMATION OR MATERIALS, AND EXPRESSLY DISCLAIMS LIABILITY FOR ANY ERRORS AND/OR OMISSIONS IN THE INFORMATION AND MATERIALS. TO THE MAXIMUM EXTENT PERMITTED BY LAW, WHITEEASTERN DISCLAIMS ALL REPRESENTATIONS AND WARRANTIES OF ANY KIND, WHETHER EXPRESS, IMPLIED OR STATUTORY, INCLUDING WITHOUT LIMITATION THE IMPLIED WARRANTIES OF TITLE, NON-INFRINGEMENT, MERCHANTABILITY, AND FITNESS FOR A PARTICULAR PURPOSE. IN NO EVENT SHALL WHITEEASTERN BE LIABLE FOR ANY DAMAGES, INCLUDING WITHOUT LIMITATION DIRECT OR INDIRECT, SPECIAL, INCIDENTAL, COMPENSATORY, EXEMPLARY, OR CONSEQUENTIAL DAMAGES, LOSSES OR EXPENSES, INCLUDING WITHOUT LIMITATION LOST OR MISDIRECTED ORDERS, LOST PROFITS, LOST REGISTRATION, LOST GOODWILL, OR LOST OR STOLEN PROGRAMS OR OTHER DATA, HOWEVER CAUSED AND UNDER ANY THEORY OF LIABILITY ARISING OUT OF OR IN CONNECTION WITH (1) USE OF THE COMPANY'S SITES, OR THE INABILITY TO USE SUCH SITES BY ANY PARTY; OR (2) ANY FAILURE OF PERFORMANCE, ERROR, OMISSION, INTERRUPPTION, DEFECT, DELAYED OPERATION OR TRANSMISSION; OR (3) LINE OR SYSTEM FAILURE OR THE INTRODUCTION OF A VIRUS, OR OTHER TECHNICAL SABOTAGE, EVEN IF WHITEEASTERN, ITS EMPLOYEES OR REPRESENTATIVES THEREOF, ARE ADVISED OF THE POSSIBILITY OR LIKELIHOOD OF SUCH DAMAGES, LOSSES OR EXPENSES.